Fourth point – “Game” except that if each player/team has won three points, the score is “Deuce”. 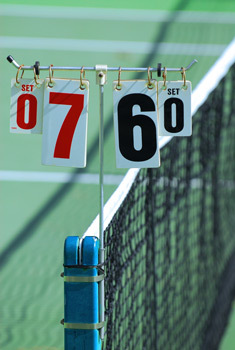 After “Deuce”, the score is “Advantage” for the player/team who wins the next point. If that same player/team also wins the next point, that player/team wins the “Game”; if the opposing player/team wins the next point, the score is again “Deuce”. A player/team needs to win two consecutive points immediately after “Deuce” to win the “Game”. 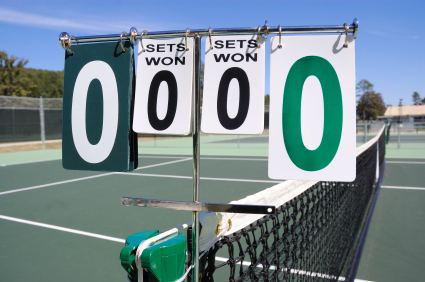 During a tie-break game, points are scored “Zero”,“1”, “2”, “3”, etc. The first player/team to win seven points wins the “Game” and “Set”, provided there is a margin of two points over the opponent(s). If necessary, the tie-break game shall continue until this margin is achieved.